The chicks are quite rambunctious today. Soon they will need a much bigger box. Yesterday, I didn’t tell you my story of death, but today I must tell you that one of them did not make it. Nature has its way of elimintaing the sick and weak and I did have a sick one. When I first opened the box, there was a little yellow chick who had obviously endured hard trip. She was very weak and lethargic. Once I put her in the box, she seemed to perk around. I later became worried about a little black one who began struggling, then that one perked itself up. A little while later, about 2 hours, the little yellow chick laid down, closed her eyes, and never opened them. 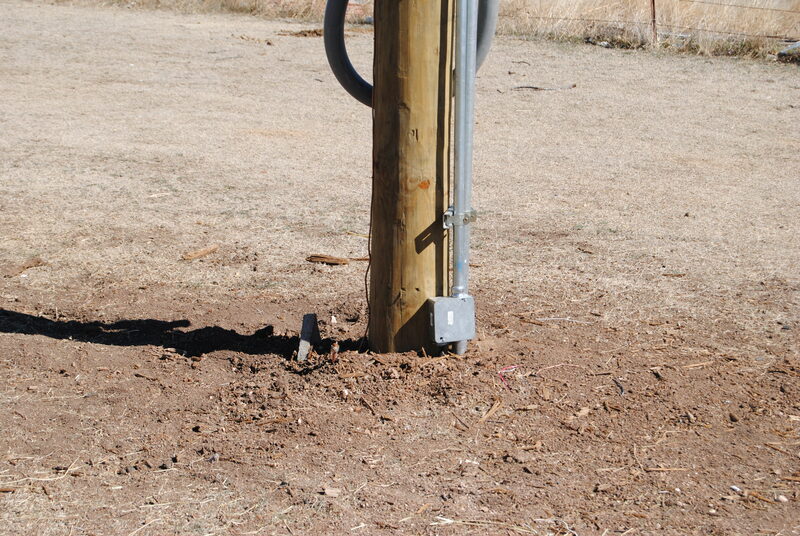 We buried her next to the new electrical pole where they dirt was real loose and didn’t take much manpower behind the shovel. 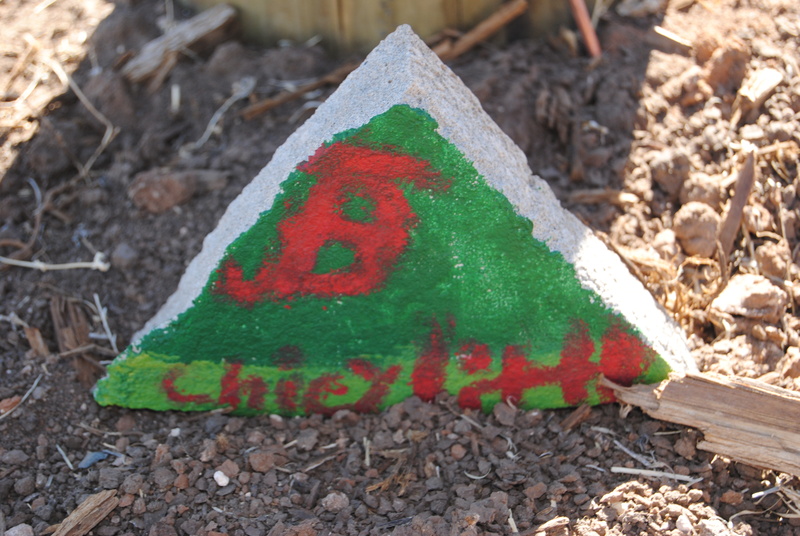 Ashlynn did what she does when little critters die, and made a tombstone for JR Chicken Little. I had only ordered 15 chicks, and the hatchery sent me 17. I think that must be their “insurance” against death. So if you are the “see the glass as half full” kind of person, even though we’ve had a fatality, I still have one extra chick than I paid for. The remaining 16 seem very healthy and rowdy, so I hope we avoid future burials. I’m forwarding a link for your blog to my mother-in-law. She retired and almost immediately decided she wanted chickens. When I told her my friend’s cousin had a blog and just bought chicks, well, she’s looking forward to reading about it, lol. Good luck, I hope the rest stay healthy! Great! So, who is my cousin that you have befriended? I’m one of Jay’s friends. I started reading your blog when he started posting it on Facebook and talked about it at lunch one day. I really enjoy reading it. I think you’ll love the chickens, I enjoy being outside with them when we visit my mother-in-law. Hope the rest thrive and are happy. Nice tombstone!